White Cloud Press, 9781935952978, 32pp. Gifts from the Enemy is the powerful and moving story based on From a Name to a Number: A Holocaust Survivor's Autobiography by Alter Wiener, in which Alter recalls his loss of family at the hands of the Nazis and his internment in five prison camps during World War II. This picture book tells one moving episode during Alter's imprisonment, when an unexpected person demonstrates moral courage in repeated acts of kindness to young Alter during his imprisonment. 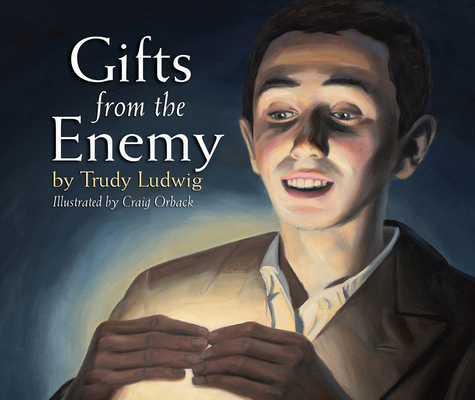 Written by acclaimed children's writer Trudy Ludwig, author of Better Than You and Confessions of a Former Bully, and illustrated by award-winning children's book illustrator Craig Orback, Gifts from the Enemy teaches children in age-appropriate language about the dangers of hatred, prejudice, and stereotyping and that there are good and bad in every group of people. The accompanying questions and activities for readers provide teachers and parents with helpful direction in presenting this history and the valuable story. Gifts from the Enemy highlights how acts of social justice and kindness can change lives. Trudy Ludwig is the author of many books for children, including My Secret Bully and Confessions of a Former Bully. She has been profiled on national television, radio, and in newsprint, and her books have received the Mom's Choice Gold Award and the CCBC's "Best of the Best" award, among others. She lives in Portland, OR. Craig Orback has a B.F.A. in illustration and is a freelance illustrator. His work includes Keeping the Promise: A Torah's Journey, Paul Bunyan, and other award-winning children's books. Based in Seattle, he also teaches children's book illustration at several colleges.